This serum with a stretch-effect gel texture helps to limit skin slackening to tone, firm and visibly lift the features. Dermo-lifting active ingredients - Manioc and pullulan extract. Copper peptides - A metabolic brick for the skin to facilitate the natural activity of collagen and elastin synthesis, a source of firmness for the face. Dermo-aesthetic technique – radiofrequency in dermo-aesthetics, this very high frequency electromagnetic wave warms the dermal tissue and contributes to the rise in collagen and elastin production. Expected clinical effects: the use of radiofrequency helps to restore tension to the face and reduce skin slackening. Apply morning and evening to the face and neck (1 use = 1 to 2 pumps). 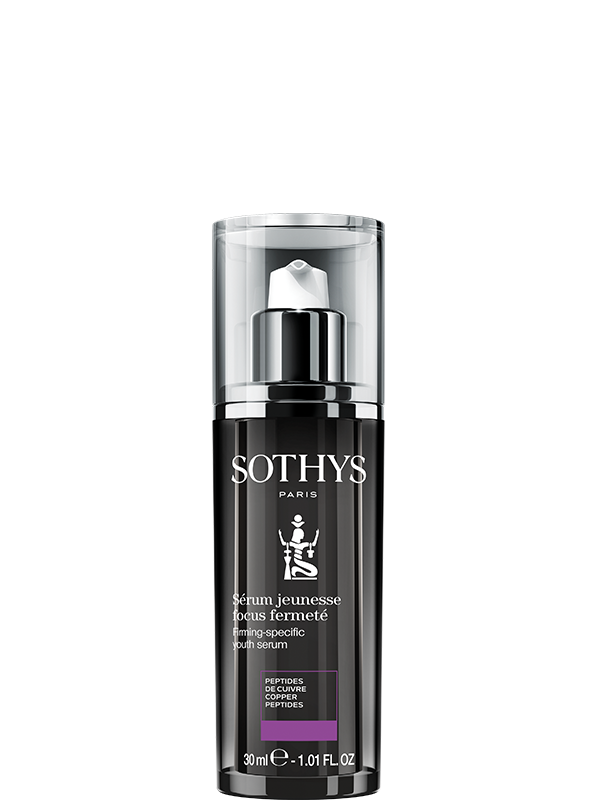 Follow with your prescribed Sothys treatment cream over the Youth Serum.